Review: Theodore Wentworth is a scholar with sharp and educated mind – he studies law but also Greek for his own pleasure. What Theodore is lacking is a wealthy sponsor in order to get an invitation to British Museum’s Reading Room to access original Greek documents. Oh gosh … I adored this little novella. I was really fond of Theodore. I loved his passion towards his study; reading the joy when he is invited to the Reading Room and later on reading the unaltered version of Iliad where he discovers the story between Achilleus and Patroklos. I loved Theodore’s internal conflict when he realizes that he is attracted to Alexander – which is very dangerous since in the Victorian England around the 1860s this is against the law as well as being prohibited by the Church. And what about his faith? He has asked for help from Hermes and not the Almighty inside the Catholic Church. He lifted his other hand and gently cuffed Theodore’s cheek. Theodore forgot how to breathe. Alexander’s skin was warm against his, and it had been a long time since anyone had touched him with such casual attentiveness. They sat so close now that Theodore could almost count the delicate lines around Alexander’s eyes. It was intimate, far more intimate than two friends attending a play. He hesitated only a moment before laying a hand on Alexander’s thigh. 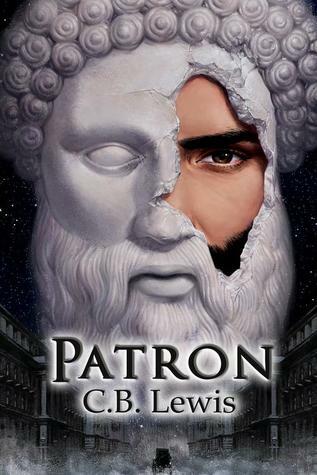 This novella also offers a touch of fantasy, and if you love Greek mythology, I think you will like it. The only thing I wish is for the ending to have a little more closure. I mean, I would have loved an epilogue several years down the road to know how Theodore will fare in the future. But maybe it is also because I’m not ready to be separated with Theodore.